If you are looking for a vintage milk cow image that’s a little different, this one might just fit the bill. 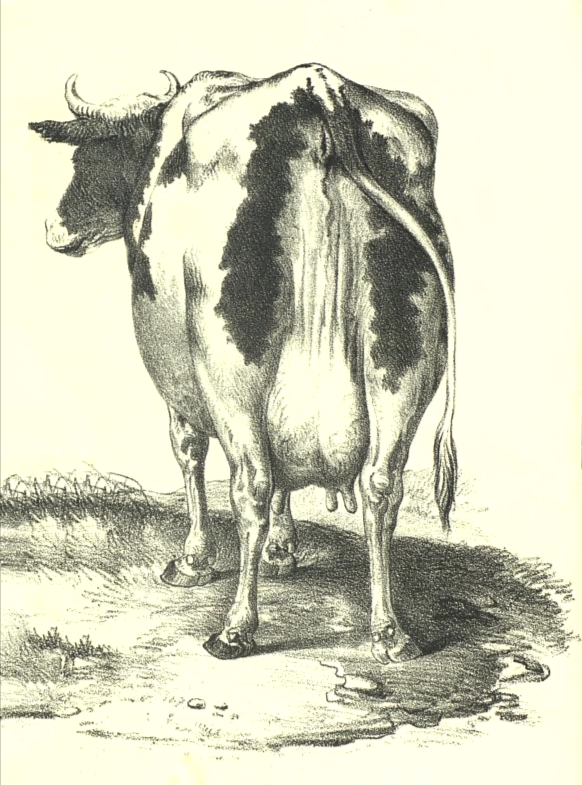 It was part of a book from 1857 entitled How to Choose a Good Milk Cow by Jean Henri Magne (1804-1885). It’s a pretty black and white milk cow image of the entire cow from the rear. The view is a little unusual but that’s what makes it interesting. The vintage illustration is so large that I can’t show all of it here. Just click on the cow below to access the largest version.